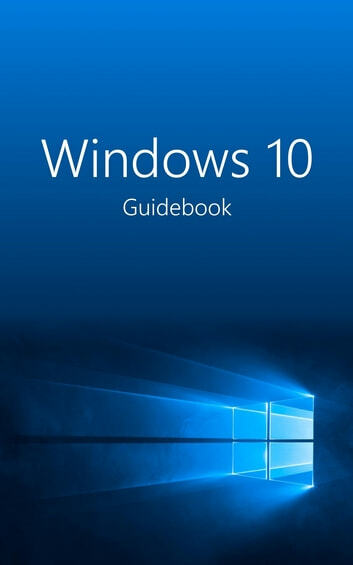 Windows 10 is really easy to use with this guide – for Windows insiders upgrading from Windows 7 or 8.1 to Windows 10, as well as for first-time users that want to learn about the operating system basics. Chapters 1 and 2 present the new and changed features in Windows 10. Furthermore, we describe what you have to watch out for when migrating to Windows 10—and how you either upgrade directly or re-install the system from scratch. Microsoft has dedicated much time and energy to design the system to be as user-friendly as possible—usable for people using touch-based devices as well as mouse and keyboard. To what will you have to pay attention before upgrading? How can you create a complete backup of the existing Windows system? The Guidebook gives the answer. Either you upgrade an existing Windows installation, or the PC is set up from scratch with Windows 10. The Guidebook describes both variants in detail—including many screenshots. The well-known Start menu is back in Windows 10, but it comes with space for apps and tiles. With Cortana, you can talk to your PC—and virtual desktops multiply your available workspace. All this is part of the new shell. Whether at your desk, on the couch, on the train or on the beach, whether with a mouse and keyboard or by touch screen—Windows 10 looks and works too in any place and under any conditions. This is made possible by Continuum, a new feature that allows the system to adapt to the current environment. Your central place for obtaining and downloading apps and programs is the Windows Store. How can apps be installed and removed? And which apps are shipped by default with Windows 10? Windows 10 sends Internet Explorer in retirement, replacing it with a young, modern browser called Edge. The Guidebook gives you an overview about this new Internet program and what to expect from it. Windows 10 can be configured from the Settings app. Which options does it offer? And what about the settings not available from within this app? Windows is not only there for working, but it’s also a good companion for leisure. Whether you’d like to play a card game, or to watch a DVD—with Windows 10, you are well-equipped for every application. “The most secure Windows ever”—that’s how Microsoft called Windows 10. From the login service Windows Hello to Microsoft Passport and the login screen via picture code: In Windows 10, everything is much safer. For computer problems, there are some approaches to fixing errors and to ensure that the system is back up and running again. What can be done? The Windows 10 Guidebook features many high-quality colour pictures. This helps you to take a close look at whatever window view you need.